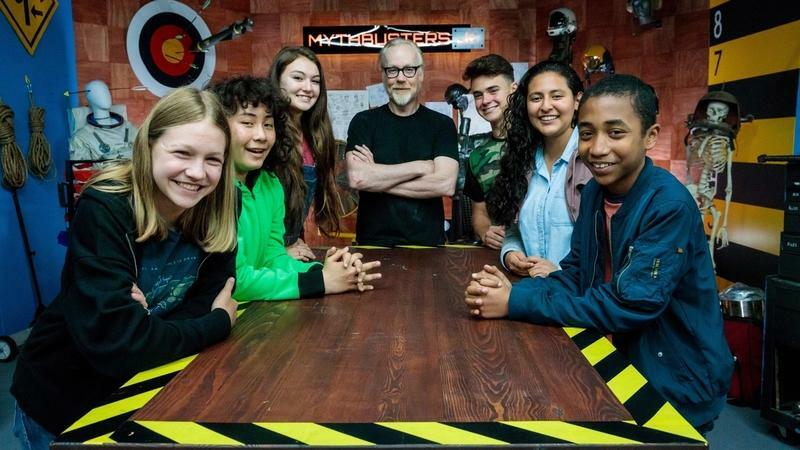 Adam Savage will be Tweeting live during tonight's two premiere episodes, and they start airing an hour early (at 8 pm ET) for parents with wee ones. Here's another show scene, with Adam helping his co-host Elijah test his concept of using bungee to remove the last Jenga piece. The other premiere episode tonight is 'Gravity Defying Carl,' which looks excellent. Here's a scale test with bowling balls. Also, for the experiment of how far a pencil can draw, this app below lets you guess how many pencils it would take to draw a line between two famous landmarks. If you miss the 8 pm ET showing tonight, it re-airs at 11 pm ET/8 pm PT, as well as Saturday at 11 am on Discovery Channel. Here’s some fun #bts and #wip shots from the Slinky Car build this week for @mythbusters Jr!